According to the results from a recent economic development survey, businesses in Carbon County are looking for individuals with skills and experience. There are a number of trainings, skill building workshops, and certifications that you can utilize to help you obtain a job and develop that career you’ve always been hoping for. By utilizing these resources that are offered locally, you will help to obtain that job that you have been looking for. Below are several resources to help you find your next opportunity! The Carbon County Job Board is a site providing a place to search or post positions available in the area. The site is hosted by Job seekers can easily search for jobs by category and contact potential employers through the job board. Employers fill out a form which will stay active for 2 weeks after submission. The Red Lodge Area Community Foundation hosts the site and updates it consistently to stay up to date with positions as they become available. Billings Job Services provides one on one sessions with job seekers to assist them with a job search. 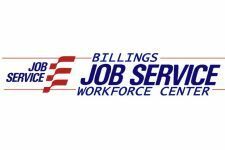 Billings Job Services provides testing for CNA credentials, apprenticeship testing for the various trades, and pre-employment screenings for the refinery and railroad work. Big Sky Economic Development Center & Small Business Development Center provides one on one advising with business professionals, small business loan application assistance, business idea evaluation workshops, how-to guidance for business plans, and other services. Where: Bridger- Bank of Bridger, Joliet – Beartooth RC&D, Red Lodge – Bank of Red Lodge & First Interstate Bank. Montana Migrant & Seasonal Farmworkers Council provides preventative health clinic services for people who work in agriculture or who have worked in agriculture for over 2 years. Registration is free. When meeting with clients they will find out the healthcare needs, and provide resources necessary to take care of those needs. Vouchers are provided to assist clients with co-payment for specific healthcare services. Costs of services are based on income and the number of people per household. Some of the services they provide assistance with include: immunizations, dental cleanings, mental health counseling, substance abuse counseling, prenatal/postpartum care, diabetes screenings/management, STD/HIV tests, physicals, women’s wellness exams, and Medicaid/Medicare/private insurance application assistance. Transportation can be arranged with a medical bus and a dental bus picking people up in Carbon County to go to their appointments. Spanish interpretation is also a service provided. To qualify you must have worked in the agriculture industry for the majority of the past 2 years or be a retired agriculture worker. Contact: Cindy Gibson, cgibson@mtmigrantcouncil.org , 406-248-3149 or 1-800-813-4492, 3318 3rd Ave. N. Ste 100, Billings, MT 59101. Dress for success assists low-income disadvantaged women in seeking employment. They offer resume workshops, professional clothing, mock interview sessions, and a job board in their Career Center. To qualify you must be a low-income female, seeking employment, and have a referral. (Referrals are usually given by HRDC or the Office of Public Assistance). After qualifying you must make an appointment, they don’t accept walk-ins. They also have a kids closet with a free outfit and book per child. When they come to Carbon County: Client must go to Billings. Appointments needed. Youth accepted into the program receive assistance with obtaining work readiness skills, education attainment, work experience, and assistance with finding training & apprenticeship programs. Life skills classes are offered September through May and are open to the public. Has been fired from a job in the last six calendar months. Where: After worksite is assigned HRDC makes site visits. Red Lodge Adult Education offers a variety of classes including: wood working, dance, arts/crafts, fly fishing, computer skills, concealed weapon handling, pilot training, and more. Red Lodge Adult Education is always looking for instructors and new classes. A list of class offerings are released a month prior to the fall and spring sessions start. Cost: Classes cost between $15 – $50. When they come to Carbon County: Fall Classes take place between October and December. Spring Classes take place between March and April. The Alternative Education program helps people in low-income situations who are 16 and older earn their GED/HiSET. They also help with tutoring and prepping for the ACT and SAT Assessments. Driver’s License education is also available. They help improve overall academics. They assist people in preparing for college and provide classes for people to get their HiSET (formally known as the GED). Cost: TABE Assessment and classes are Free, HiSET Test cost $50 which includes 5 tests and 2 retests. When they come to Carbon County: Clients must go to Billings. Carbon County DUI Task Force provides alcohol service trainings and classes for anyone who works in the alcohol sales and/or service industry. The training is free and required for anyone who is a bar tender, owns a bar, works in a liquor store, or any type of establishment that sells alcohol. This training is required for those who work for any type of establishment that sells alcohol within 90 days of employment. Red Lodge Fire Rescue provides hand-on training in CPR or First Aid by a certified American Heart Association instructor. Training can vary in length from 2-8 hours according to the type of certification. REO focuses on helping people realize their hopes for better jobs, better income, and a more secure financial future. 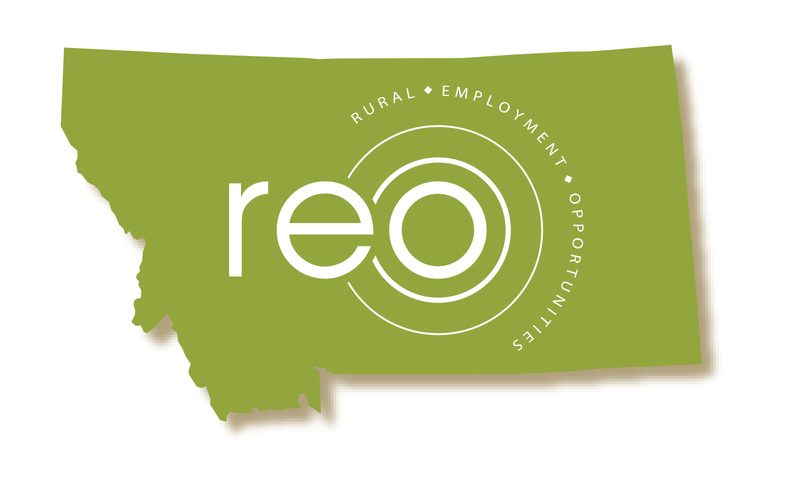 REO helps Montanans who want to work, but do not earn enough to live on. Two grant opportunities offer paid training: the National Farmworker Job Program (NFJP) Gran for farm work and the Access Opportunity Grant for high demand jobs. To qualify for REO grants you must have a dependent under 18 living in your home. Contact: Cara Birdtail cara@reomontana.org , 406-437-2382, 2121 Rosebud Dr. Billings, MT 59102. RiverStone Health provides a 2 hour food handler training class (this is NOT ServSafe training). This training teaches participants the basics of food safety, proper cleaning techniques, temperature control, and how to prevent bacteria from forming on food. 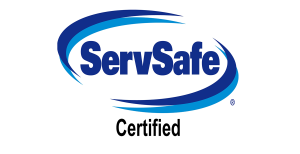 Even though River Stone does not provide Servsafe training, they do administer the Servsafe exam. Callaghan Enterprises conducts ServSafe training and certification. The training deals with food safety when dealing with multiple people. It is a required training for restaurant owners, managers, and supervisors. The class is 9 hours long and covers topics from purchasing, receiving, storing, prepping, and serving food properly. When they come to Carbon County: Once in March or April and once in September, October, or November. They provide Early Childhood Education/Daycare Certification. Some of the classes they offer include: child guidance, CPR/first aid, professionalism, etc. Cost: $10 for 2 hours of continuing education training or online classes range from $20-$40. The WoRC program is designed to support individuals who are receiving Temporary Assistance for Needy Families (TANF) in their pursuit of self-sufficiency. WoRC offers opportunities for job readiness training, supportive services to address participant identified barriers, and provides one-on-one case management guidance. Experience Works provides job training to people who are low-income and 55+ who want to gain new skills. Experience Works sits down with individuals and finds out what type of skills/job they would like to gain. After these are identified, Experience Works will find an organization to partner with to place the individual. When they come to Carbon County: Quarterly, and upon request. Where they go: Bridger Library, host sights, and anywhere upon request.